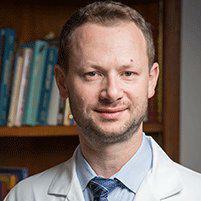 As a leading sports medicine provider in the Upper East Side, New York and Forest Hills, Queens, New York area, Dr. Tyorkin offers professional and casual athletes the specialized care and treatment they need to optimize their changes of returning to their sports and enjoying their active lifestyles. Sports medicine is an area of orthopedics that focuses on the care, treatment and rehabilitation of both professional athletes and “weekend warriors,” customizing care to each person's individual needs and abilities with the aim of enabling them to return to their activity once healing is complete. Orthopedic doctors who also specialize in sports medicine have the skills and experience to help athletes of all levels achieve the best recovery possible. I'm not a professional athlete, but I do enjoy playing sports; do I still need to see a sports medicine specialist? Sports medicine doctors are not just for professional athletes. They have the specialized skills and training to help athletes of all levels enjoy their sports and activities, from weekend football or basketball to hiking, spelunking, kayaking, biking and more. A doctor with special sports medicine training understands the unique stresses involved in different types of activities and can customize your treatment to help ensure you can continue to enjoy your active lifestyle. Does a sports medicine doctor do more than treat injuries? Yes, sports medicine doctors also provide education and guidance about how to avoid sports injuries, including information about proper training techniques that can improve speed, flexibility, endurance and strength. What if my injury is not sports-related? Should I still see a sports medicine specialist? No matter how your injury occurs, if you enjoy any type of sport or physical activity, it's important to see a doctor who treats sports injuries so the treatment and rehabilitation you receive will help ensure you can continue to enjoy those activities. When you see the doctor for a non-sports-related injury, be sure to discuss your physical activity so your treatment can be planned for optimal return to your sport.